Now more than ever, design conscious shoppers are considering not only the quality of the product they are buying, but the package it comes in. 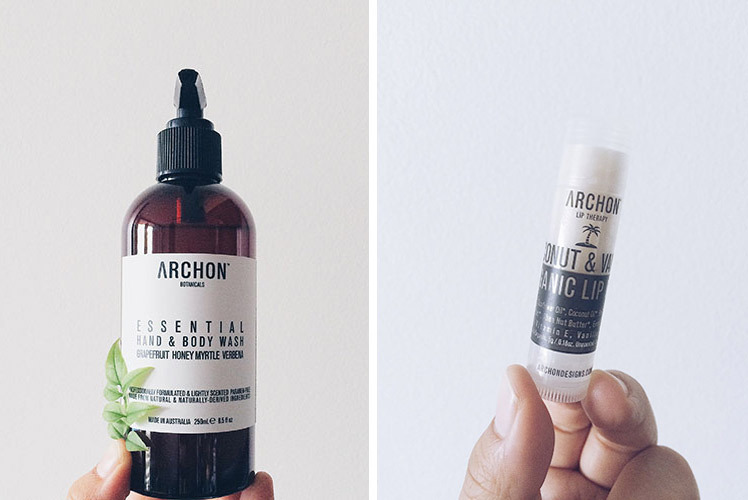 Archon Designs has both bases covered, with their urban-inspired Australian made and designed range of botanical body products. We chat with co-founder Isabella about the inspiration for the business and the challenges of starting a label in this growing industry. 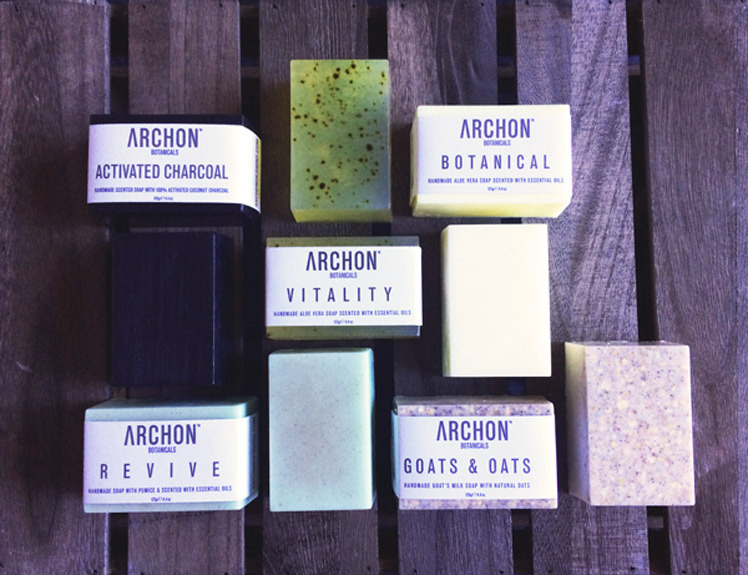 Try out the Archon Designs range for yourself at our Sydney AW15 market next weekend. 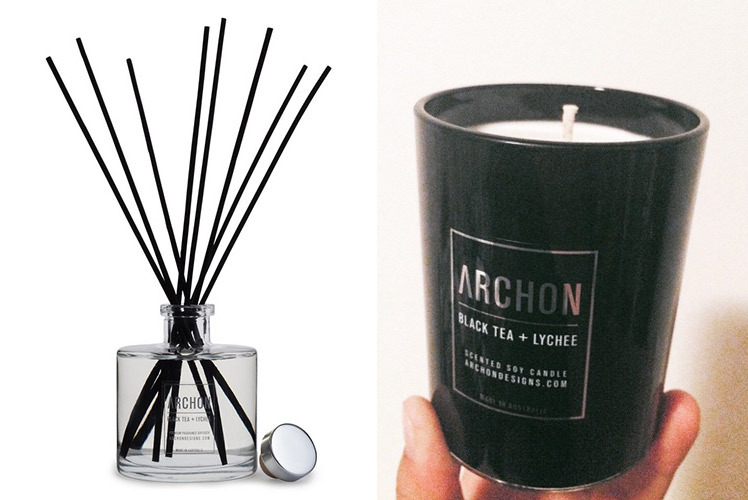 Tell us a bit about Archon Designs and what products we can expect to discover? Archon Designs (pronounced: AHR-KON), is an urban lifestyle company based in Chippendale, Sydney and founded by Catherine Francis and Isabella Sugani. We are focused on creating a range of Australian made and designed products for the Body + Home + Pet + Travel with the aim of improving the urban lifestyle and existence. We have an amazing range of Body + Skincare products using essential oils and natural and naturally derived ingredients. You can expect to discover our signature scented Hand and Body Washes and Balms, organic and natural Lip Balms (including a vegan lip balm! ), handmade chemical-free Soap Bars, Body Care Kits packaged inside our 100% Australian handmade hessian printed bags. A botanical range of products for your Pet. We have our Home Fragrance collection of uniquely blended contemporary and exotic scented Soy Wax Candles and premium Room Diffusers. 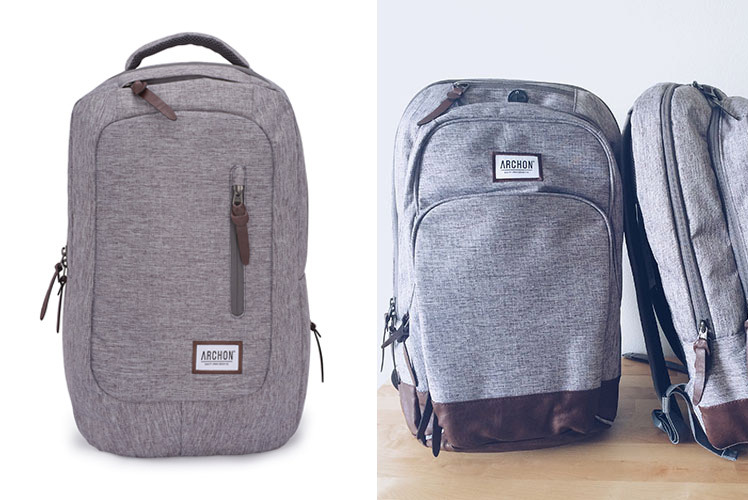 And most recently we have introduced our urban-designed Travel Laptop Backpack range, which has been very popular! Surprisingly we both don’t have formal ‘design/art’ backgrounds. I studied Visual Arts in high school but was a former Corporate Tax Accountant and hold a Masters in Marketing, having worked for the past six years in Marketing. Catherine has worked in the Retail industry for the last 12 years. We both are passionate about life, travel, design, clean eating and going on walks… lots of walks. Our brainstorming and meetings are held walking the streets of Chippendale! Catherine is a strict vegetarian and is obsessed with cats. While I cannot live without coffee, lip balm and my phone camera. So despite not having any formal ‘creative background’ per se, Archon Designs is our creative outlet for our passions and obsessions. We created our signature scented Skincare products by blending in our favourite essential oils. Our Home Fragrance collection scents were inspired from our travels. We have tried to create scents from our favourite cities such as Sydney, Tokyo, New York, Luang Prabang and Singapore. The product packaging designs are our own creation, going for a minimalistic, clean and modern look. We had the help of Newcastle graphic designer DesignedbyKyle to create our brand logo, and my sister Imma to help teach us how to use the Adobe Creative Suite and establish our graphical templates. My mother Theresia hand makes and sews the printed hessian bags, while Catherine’s mother Anne knits the cotton face and body washcloths. The creation and manufacturing of our entire product lines (with the exception of our backpacks), is all made in our Chippendale Workshop. In the beginning it was our travel and urban living and surroundings that inspired our work and motivated us creatively, but what continues to motivate and inspire us is the overwhelming response we have received from our customers and loyal supporters. 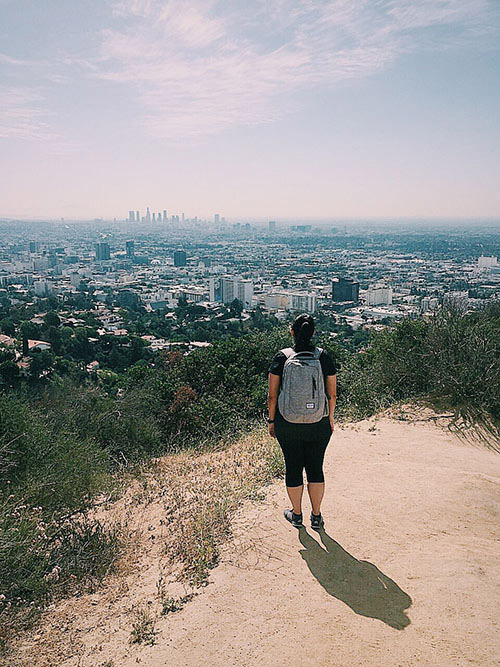 We wanted to create products that people would feel improved their urban lifestyle and environment. We’re always excited to see people sharing their photos of our Archon Designs products in their homes, offices, and shops and from their travels. 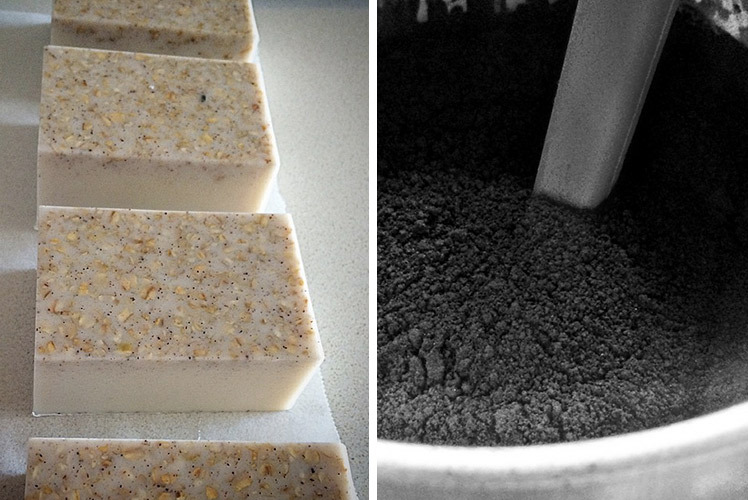 It is amazing to see how our products fit so naturally into anyone’s daily routine and décor. So we continue exploring our city to find inspiration and our motivation now comes from all the feedback we continue to receive. We always want to improve our products and expand our range to meet our loyal customers’ needs. Overall, our environment is definitely inspirational. We are extremely fortunate to live in such a vibrant and beautiful city like Chippendale, Sydney. Australia truly is the lucky country; there is such a wealth of creative, innovative and inspiring Australian artists, designers, creators and just hard working people. We spend most of our time in the Chippendale Workshop and are very fortunate to be in such a vibrant location. We can step outside and walk down any street and back lane and find something new and inspiring. Chippendale is changing every day and we love that about our surroundings. No one wanted to live/work in Chippendale 11 years ago when I bought the workshop, nor did anyone know exactly where Chippendale is, but the Chippendale of today is a great place to live and work. Archon Designs would not be the brand and company it is today if it weren’t for Chippendale. The textures, colour and history of the old and new Chippendale buildings inspired our designs for our urban Travel Laptop Backpacks. With the help of our manufacturer and many months of hard work to get it right, we have created a unique and distinctive textured fabric and colour called “sketcher grey”. The water resistant textured fabric is a direct inspiration of the new ‘concrete jungle’ that Chippendale has become and the leather PU zipper pull-through pays homage to the old industrial Chippendale. When starting anything new there’s always the fear of the unknown. We didn’t know enough to know what we didn’t know, it was a huge learning curve but a challenge we would encourage anyone with an idea to take! We faced many hurdles along the way but never stopped believing in our vision and products or our abilities. One of the biggest initial challenges was finding local markets to promote our brand and products, as with every new start up we didn’t have the capital to open a brick and mortar shop front, but we needed a venue to promote Archon Designs. We are forever grateful for all the markets who have supported us from day one. Our other major challenge is our limited resources; whether it’s time, money or energy, it’s finite. We love working and supporting local Australian manufacturers and suppliers. We love being able to create scents using uniquely Australian plants such as the Honey Myrtle and Australian Sandalwood. We love working with creative Australian souls such as DesignedbyKyle and Sarah Candlin Photography who is helping us re-do our product shots after my rough first attempt! And we love our exclusive retailers who stock our products and have become apart of the Archon Designs family. We also love being able to work with both our Mothers, who hand sew our printed hessian bags and hand knit our cotton face and body washcloths. We find it a real blessing to be able to work and create work for both our retired Mothers. We love meeting new people and seeing their reactions and positive feedback when they try/smell our products for the first time and hearing their amazing feedback. We love building friendships with our loyal customers at local markets and hearing stories from our retailers of repeat customers of our products. The positive words really keep us going and drive us to ensure we always create quality products for our customers. What new projects are you working on and where would you like to see Archon Designs in the future? We are constantly coming up with new product ideas and projects that we would love to launch. The challenge is finding the time to see through the ideas from concept to reality, whilst juggling the day-to-day manufacturing of our current product lines, fulfilling our retail and online orders and making enough stock for our weekly market days. We have an exciting social change project called: The First World Project, which we have been keen to launch since last year, but we have yet to find suitable partner/s to team up with. Stay tuned on our website and Instagram and hopefully in the very near future you will be hearing all about our social change project. We have been experimenting with various different candle vessel materials besides glass, and hope to launch limited edition pieces and new scents for Spring/Summer (S/S) 2015 for our Home Fragrance collection. Last year for S/S 2014 we introduced ‘Wild Fig + Cassis’ and ‘Honeysuckle + Jasmine’, the latter scent being such a success we kept it on as one of our main scent lines. Our loyal customers have requested Diffuser refills, so we are working with a few local glassware manufacturers to introduce refill options. 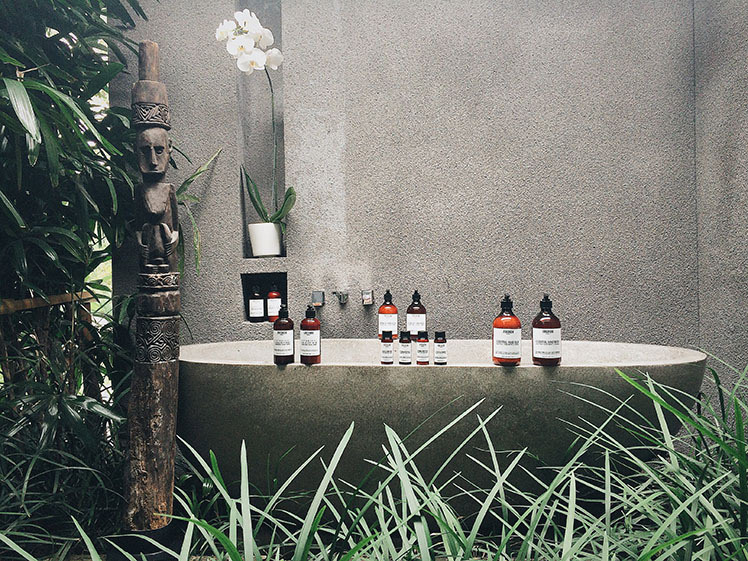 For our Body + Skincare range, we have been keen since last year to launch facial and body scrubs, we are almost at the end of our experimentation and testing stages and our goal later this year is to launch our range in time for summer. Our devoted customers have requested a tube size for our Hand & Body Balms, so we are hoping to make their requests a reality and also provide refill options for our Hand & Body Washes. We see Archon Designs as the leading Australian Urban Design and Lifestyle brand. 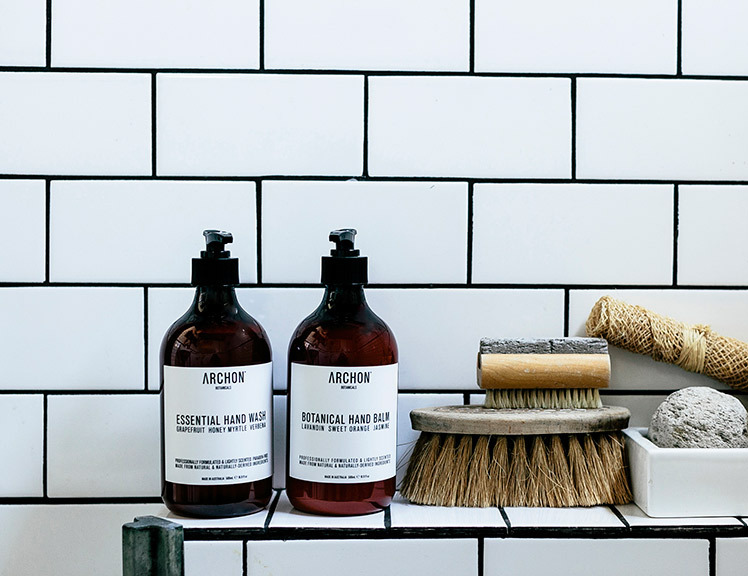 Our vision has always been to improve the urban home, urban lifestyle and urban well-being and existence through our Archon Designs range of products for the Body + Home + Pet + Travel.